If you live in Perry Hall and want to get the most out of your home, fencing can increase home value and make your home more appealing. Perry Hall is growing community in Baltimore County, Maryland with a population of 28,474, as of the 2010 census. The median home value in Perry Hall is $270,400, with a median sale price of $241,324. If you live in the area and want to get the most out of your home, there are several projects you can undertake to help increase home value and make your home more appealing to future buyers. One such project is fencing. More specifically, we are talking about privacy fences and what makes the most sense for you, a wood privacy fence or a vinyl privacy fence. Anytime you make a significant investment in your home, you want to know you are making the right decision. This is as true for larger projects, like kitchen remodeling, as it is for more affordable projects, like fencing. So it is only natural that you may be curious about the real estate benefits of privacy fences. A new privacy fence will add both curb appeal and value to your home. The exact value, however, is difficult to quantify as it is largely dependent on the neighborhood in which you live. To ensure you get the most value out of your new fence, make sure the style compliments the neighborhood. You want your home to stand out, but not in a bad way. Good fences sell properties. Period. Many homebuyers have pets and children and, therefore, a beautiful privacy fence becomes an excellent selling point. The cost of a fence is generally recouped in the purchase price and especially in the “time on market.” Simply put, homes with fences tend to sell faster. Privacy fences help boost curb appeal and marketability by more clearly defining property lines. Homebuyers have a clearer idea of what they are buying. Now for the tough question: wood or vinyl? Wood fences are still the most affordable fences and come in a wide variety of styles. In fact, a wood privacy fence is about 20-40% cheaper than its vinyl counterparts. The downside, of course, is that wooden fences require regular maintenance – cleaning, repairs, and painting or staining – to maintain that beautiful curb appeal. They can also be susceptible to termites, wood rot, and warping if not properly maintained. The return on investment for a vinyl privacy fence in Perry Hall, Maryland is about 50%. Initially, the cost of a vinyl privacy fence is greater than that of wood fencing, but you’ll save money in the long term thanks to the minimal maintenance these fences require. There is no painting, no staining, and only the occasional cleaning. Vinyl fences do a better job standing up to the elements and, thus, have pretty long lifespans. The return on investment for a vinyl privacy fence in Perry Hall, Maryland is about 65%. With 40 years of experience behind us, Freedom Fence and Home provides the highest quality wood and vinyl fencing installation in the Perry Hall area and beyond. We are licensed and insured in the state of Maryland and our record of zero complaints with the Maryland Home improvement commission and the Better Business Bureau speaks for itself. 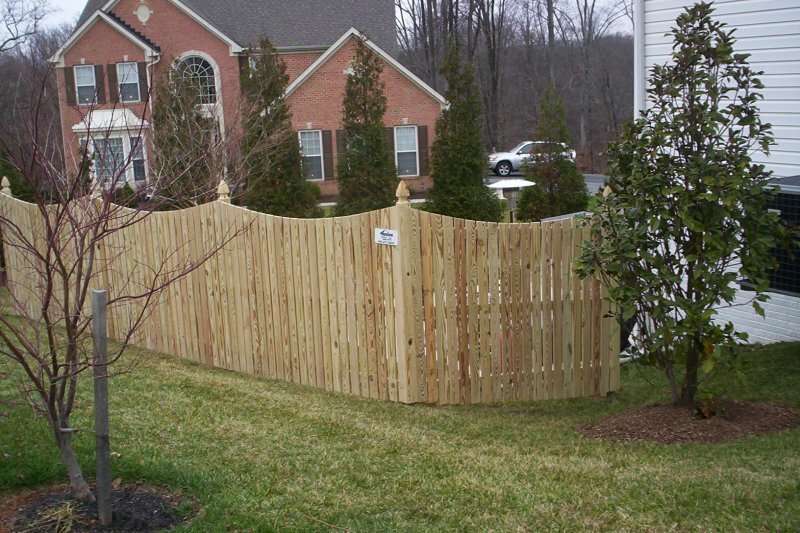 If you have any questions about which makes the most sense for you, a Wood Privacy Fence or a Vinyl Privacy Fence, please contact Freedom Fence and Home by calling 443-271-6841 or visit our website. You can also follow us on Facebook and Twitter! This entry was posted on Friday, September 11th, 2015	at 2:48 pm	. Both comments and pings are currently closed.